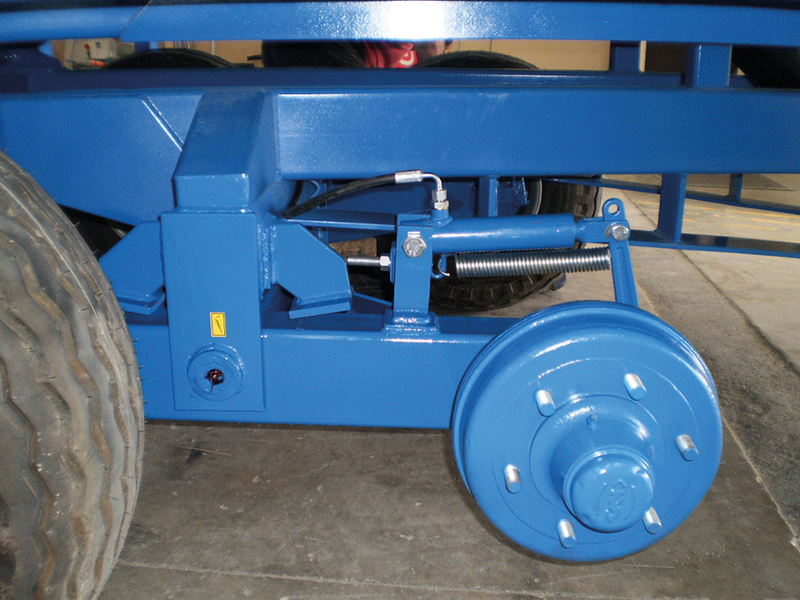 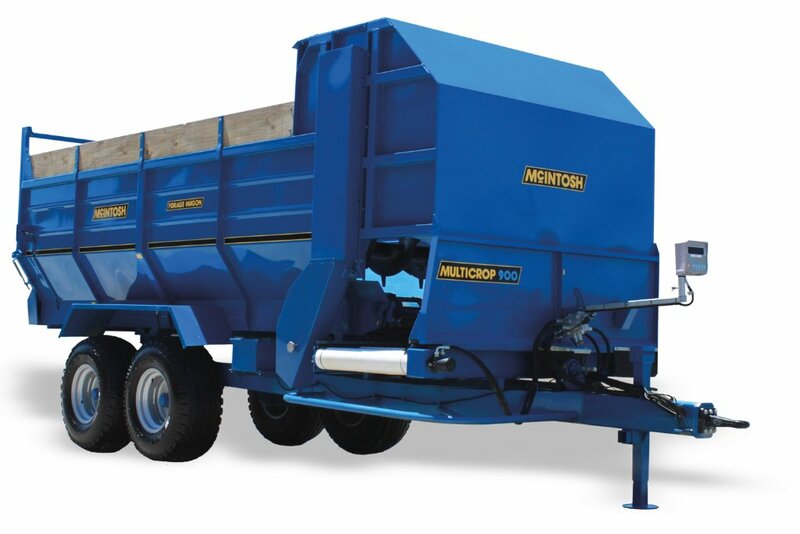 Designed to provide a more consistent and even mix, the McIntosh Beater wagon is an addition to the conventional chain elevator system. 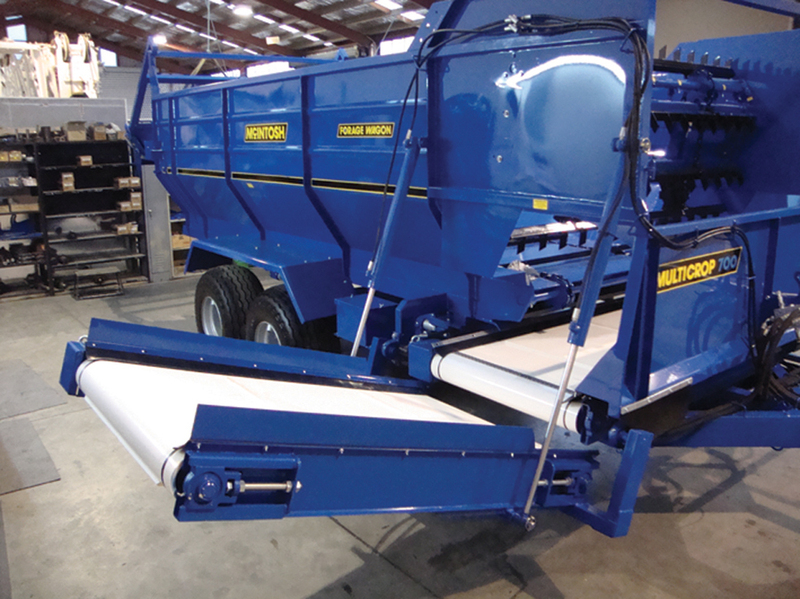 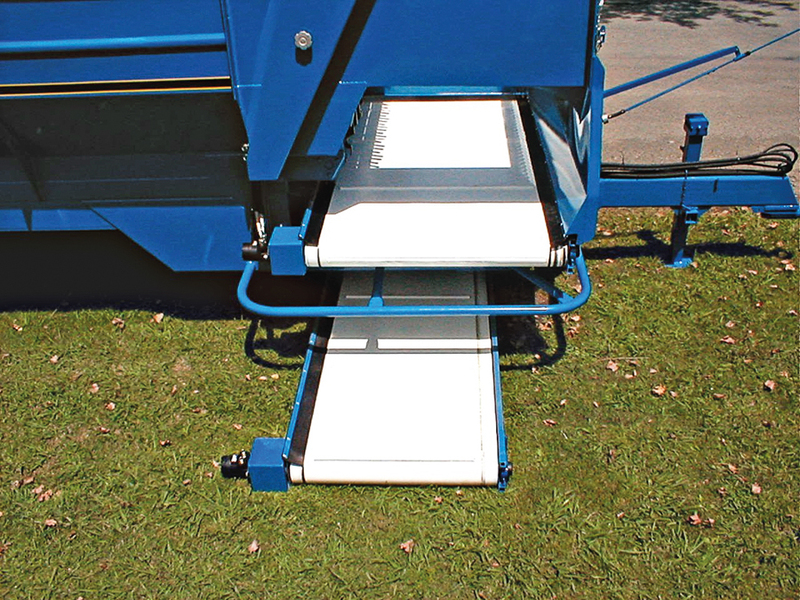 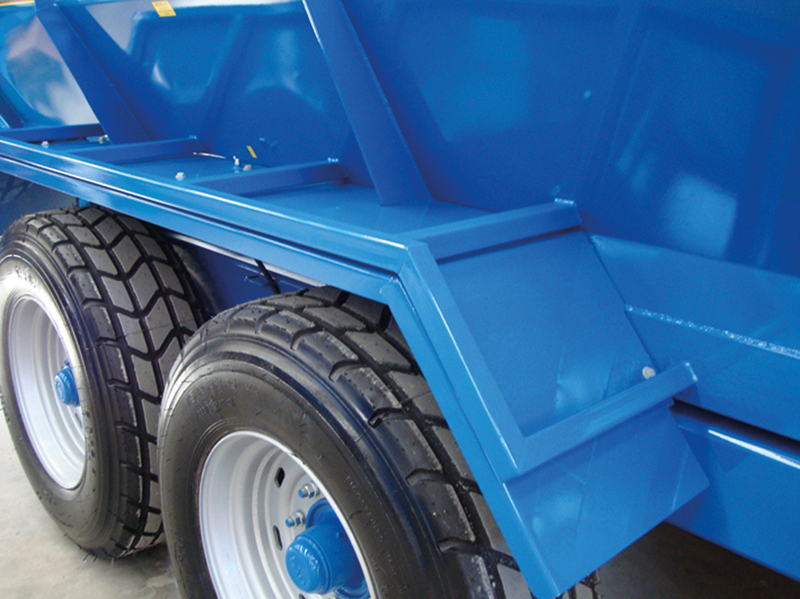 The unique design with three PTO-driven horizontal beaters allows for better incorporation and more consistent blending of different products. 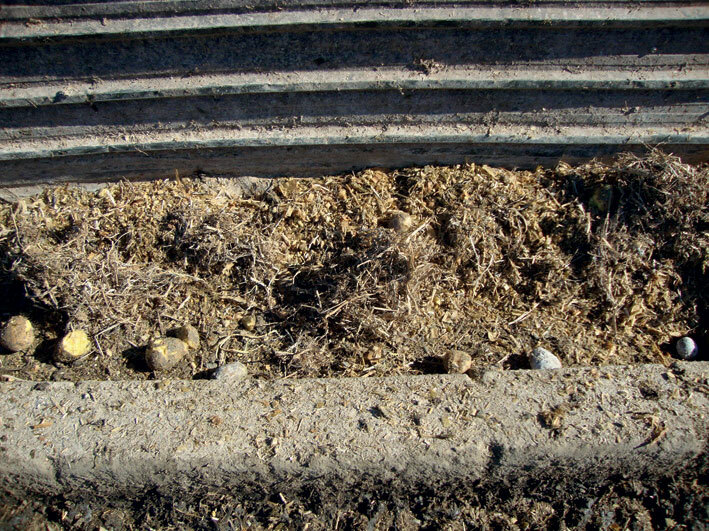 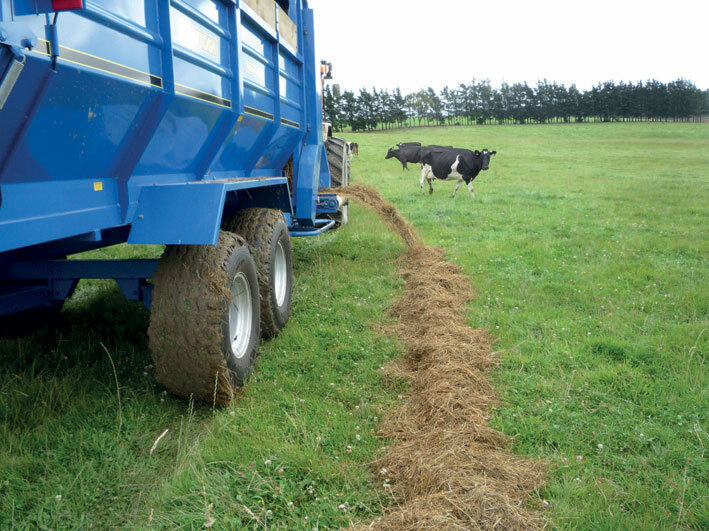 Bales are broken up so that cows do not have to lift their heads to drag the feed apart, resulting in less wastage. 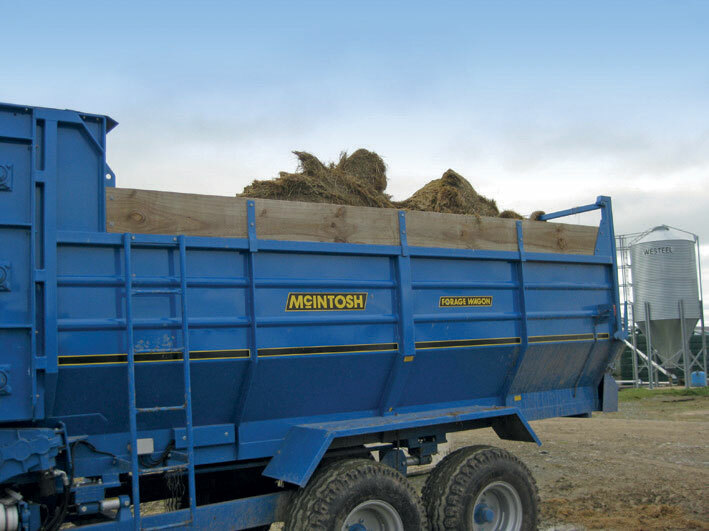 McIntosh Beater Wagons can handle round and square bales quickly and efficiently, operating in both field and feed pad conditions. 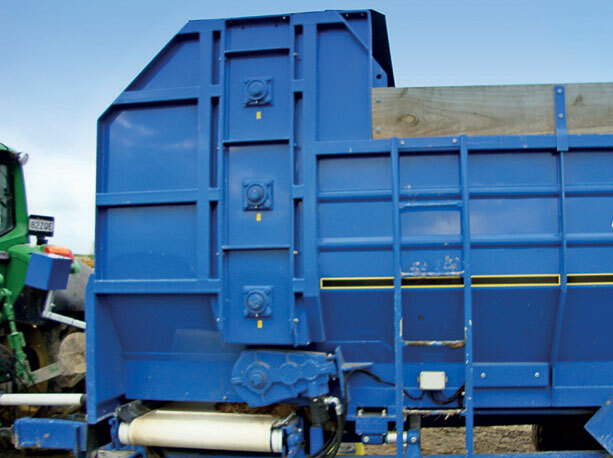 Side view showing beater attachment and hood which channels the feed onto the belt. 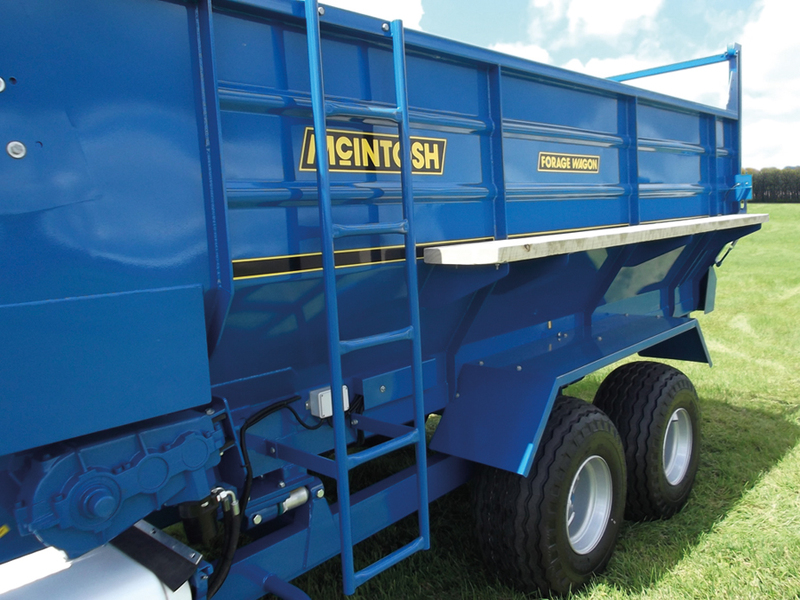 wagon ready to be fed out. 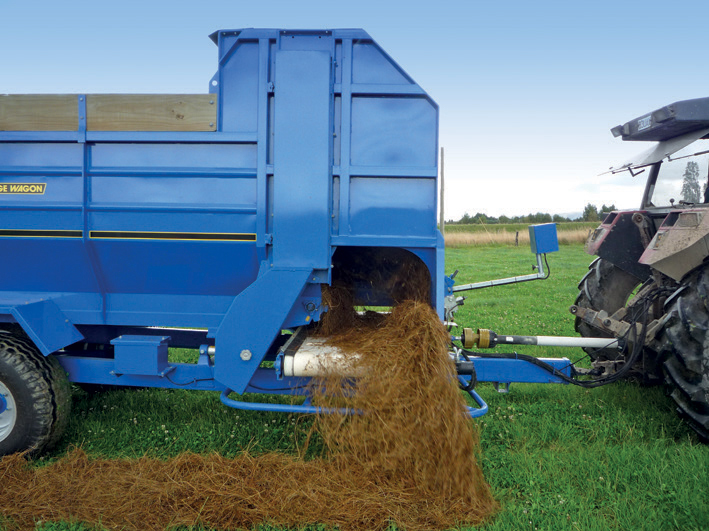 The augers completely break up round bales for more even feeding. 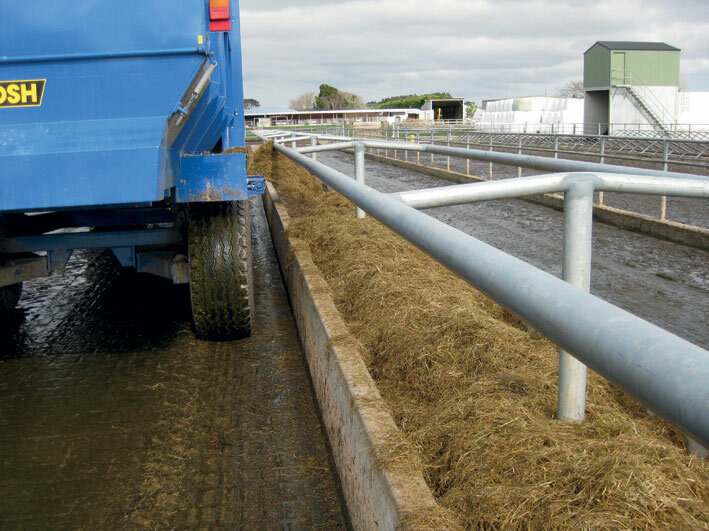 The long throw is ideal for feeding into troughs. 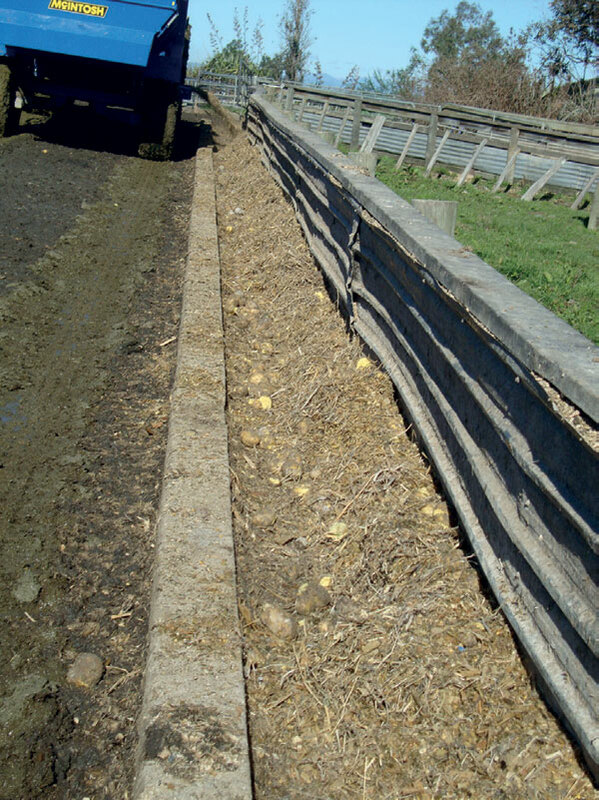 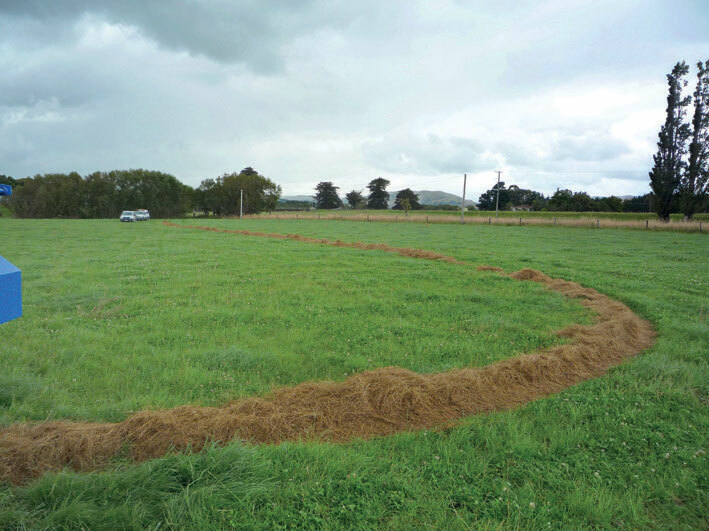 Round bales after feeding in a long, even, continuous line. 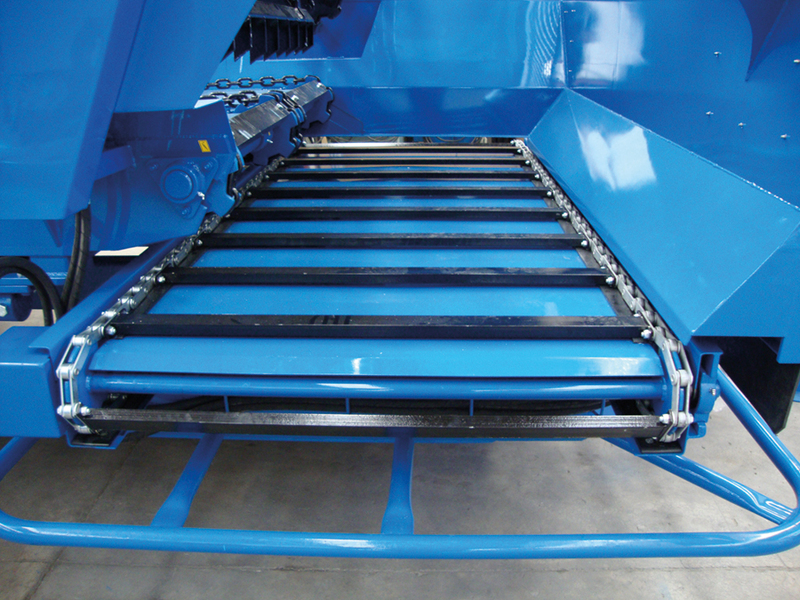 This is hard to achieve with a conventional elevator. 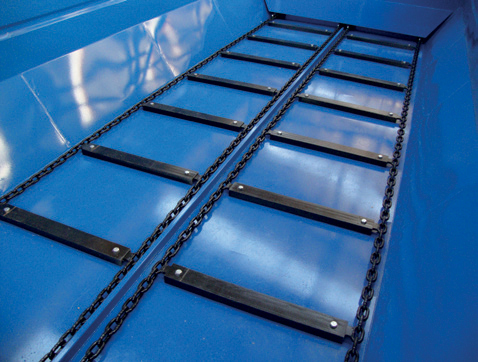 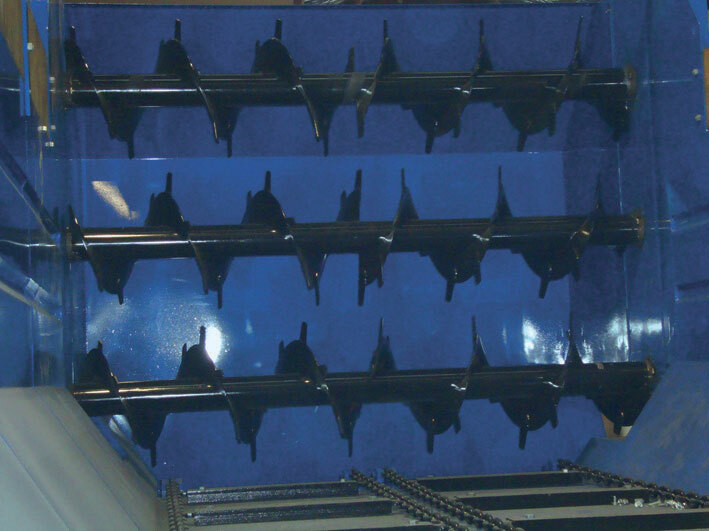 Four floor chains to provide longer life for chains and sprockets. 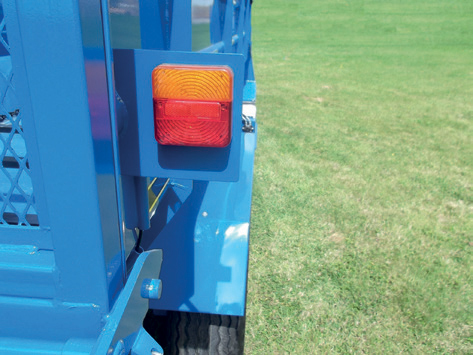 LED tail lights mounted high for better visibility.